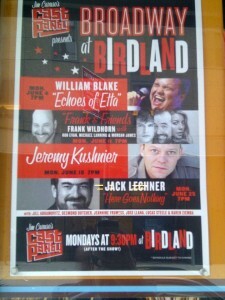 Tomorrow night two songs that I wrote with Jack Lechner will be performed at Birdland in midtown Manhattan. 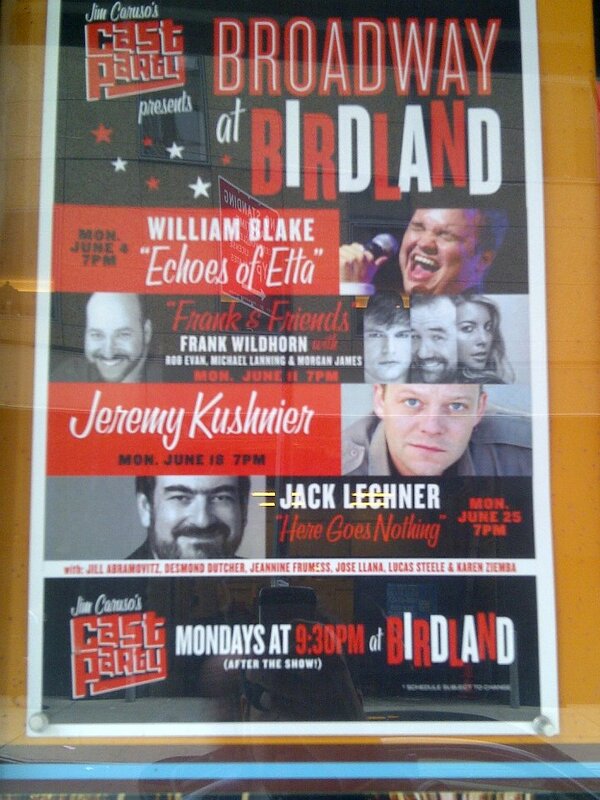 Jack will be hosting an evening of his songs titled “Here Goes Nothing”. Nancy Anderson (Broadway: A Class Act, Wonderful Town) will perform “The Other, Other Woman” and Jeannine Frumess (Off-Broadway: The Kid, Songs for a New World) will perform “Just Like That”. Both songs are from a musical we worked on together, with bookwriter Rachel Shukert, called The One That Got Away. You can read more about the event and get tickets here.